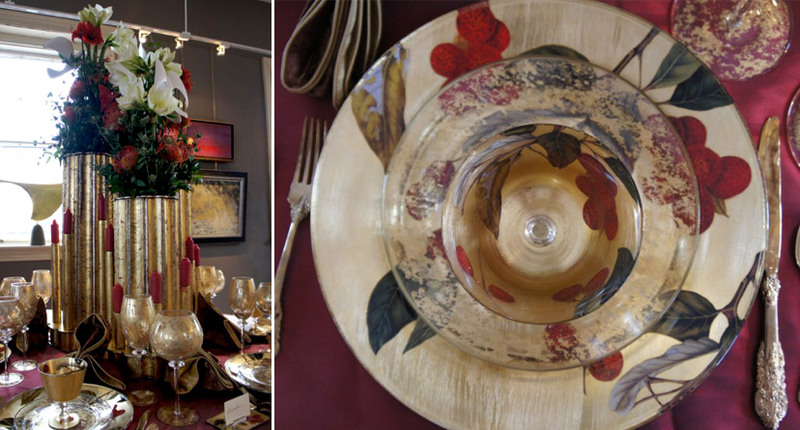 Recently, we at tj's Interior Design bemoaned the seeming loss of graciousness and elegance in our lives. We all complain that life goes by too fast. We’re in a hurry, at a rush to get somewhere, everything is high priority. Our appointment calendars are booked. We barely have time for a vacation. Rush! rush! rush! We recently spoke with a realtor, and she described the changing home-buying requests of younger people who don’t want a formal living room AND a family room. They want one big room. They want open spaces, no designated dining room, etc.—a different and often bare bones approach. And demographics are even more telling, more and more households are single member only. Young or old, it spans generations. Even in a family home, everyone has a schedule and is preoccupied with outside interests with barely time to sit down for an evening meal together. Fortunately, not everyone is on board with this overly casual, take-out meals and no-iron approach to lifestyle. We’re encouraged to see resistance from our clients and have noted this resurgence in many shelter magazines, which are showcasing beautifully designed and elegant homes. Homes and apartments with exquisite furnishings, fabrics and, yes, wall-coverings! There are many ways to include beautiful things in one’s life, whether it is the entire house...or just some element of graciousness within. Here is a telling anecdote that we experienced. 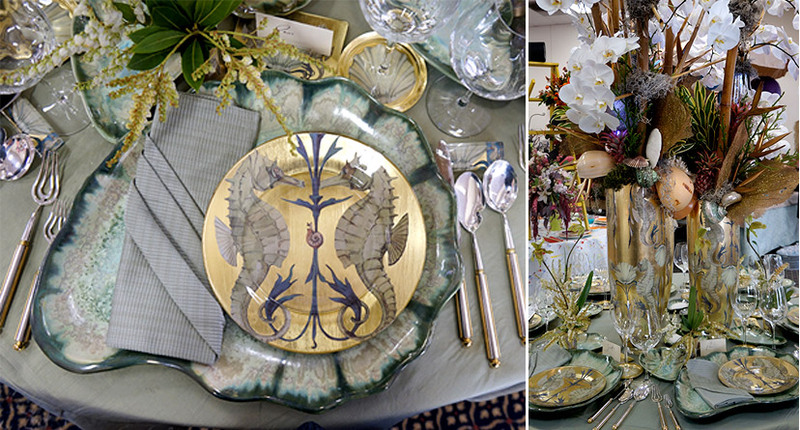 Not long ago, an elderly woman came to our store and purchased a single place setting of fine dinnerware. “Why would someone buy just one?” puzzled one of our younger sales persons. This for us was a touching story, because while we find that many people have forgotten how to live well, others do care and do understand how important it is to experience living with beauty and elegance. We would add that a ‘carefully laid dinner table,” whether for one or more persons, adds one more element to a well-lived life. Something, which our charming customer thoroughly understands. More recently, one of our highly regarded and talented designers expressed it aptly when he said: “I am in love with beauty,” Italian designer, Valentino Garavani speaking at an opening for his upcoming book: Valentino: At The Emperor’s Table, which comes out in November and is filled with photographs of exquisite table settings, and he explains, “Entertaining thirty or one is the same; the food has to be on a beautiful plate. 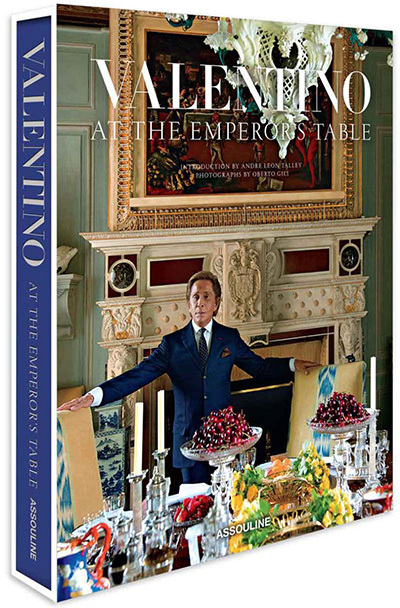 Valentino’s book is a feast, not only for the eyes, but also for the soul—it would be a great holiday gift for your ‘living-well’ self!